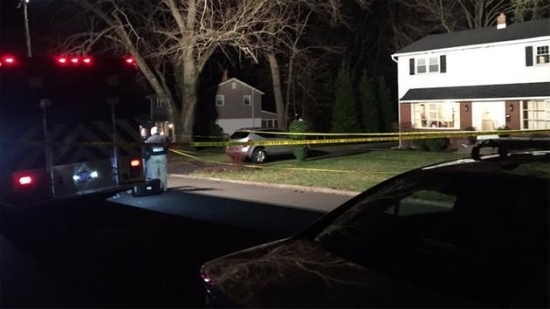 Police are now investigating after a woman was found dead in a home in Bucks County Thursday night. The woman has been identified as Rebecca Cope. Police have also identified Cope's 30-year-old son Zachary Cope, as the suspect in her death. Authorities say that Zachary Cope was spotted walking on the 200 block of Taylorsville Road, when he stopped a car and reportedly told the driver he had killed his mother. The driver stated it looked like Cope had been in some sort of altercation. Reporting officers found the woman's body inside the home. Cope was then taken into custody and is now being charged with criminal homicide. SEPTA officials have now released a new Regional Rail schedule that will go into effect this Sunday. The new schedule is part of a new overall improvement plan for SEPTA's Regional Rail. The new schedule will adjust weekday train times having some of the trains arriving earlier and some later than in previous schedules. One of the time changes has Weekday inbound morning train #805 departing from Fox Chase at 5:25 am which is 25 minutes earlier than in previous schedules. Also in Warminster, select morning and evening weekday trains that originally started at Glenside, will now start at Warminster, making all stops to Center City. Airport lines will also offer trains to and from Warminster and Glenside. For a full schedule SEPTA's Regional Rail page at www.septa.org. Funeral Services have now been planned for Frankie Williams, the rookie New Jersey State Police Officer that was killed in a tragic car wreck on Monday night. The funeral will take place Monday December 12th at the Boardwalk Hall in Atlantic City at 12 pm. Prior to the Funeral a viewing for family and friends will be held at the hall between 8 and 10 as well as a viewing for Police Officers that will be held from 10 to 12. A public vigil for Williams was held on Thursday night at the Leesburg Volunteer Fire Department. Today, Sunny with some clouds and a high of 39 degrees in Center City.